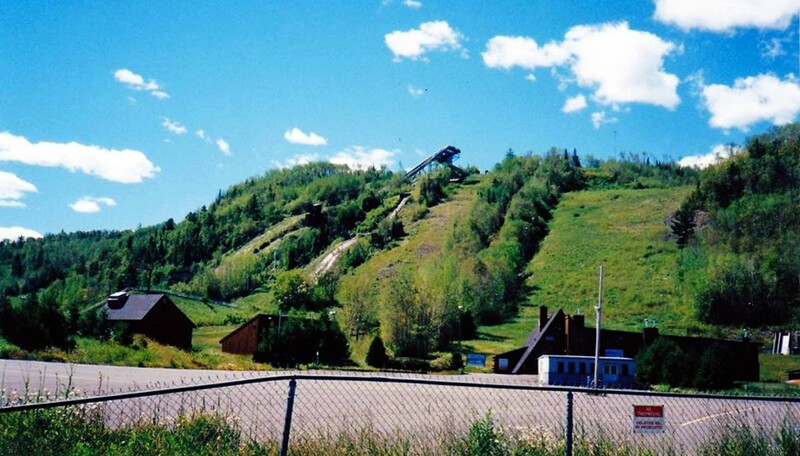 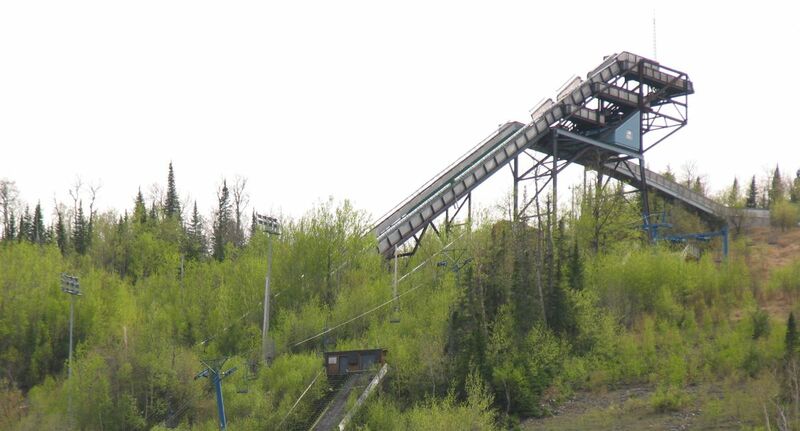 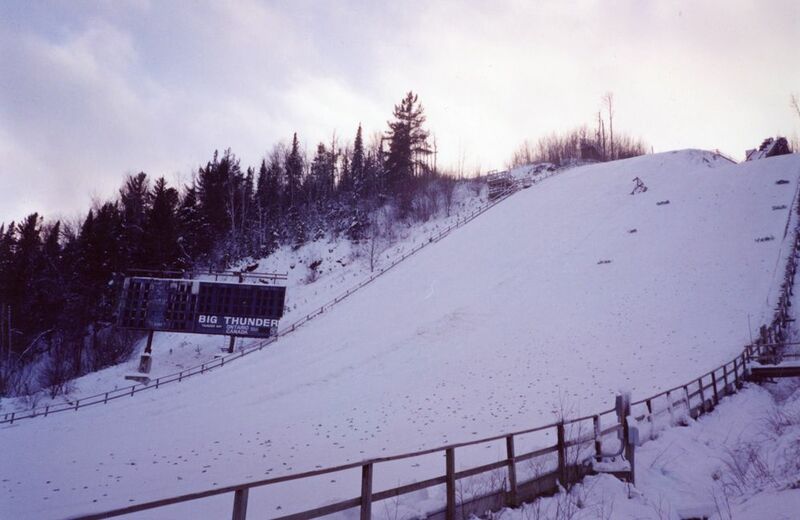 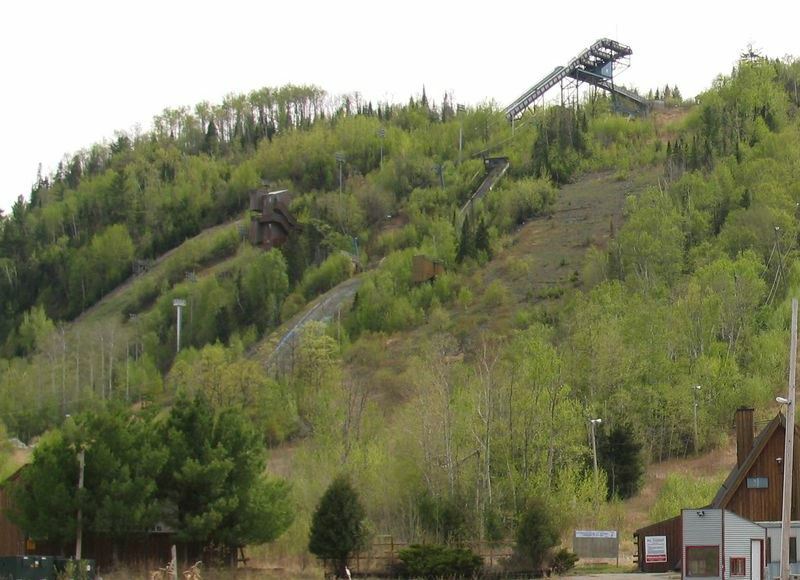 The history of "Big Thunder" ski jumping facility at Thunder Bay, Ontario, started in the year 1969, when the two Norwegians Knute and Thor Hansen set up the first small ski jumping hill and opened it under the name "Little Norway Ski Area". 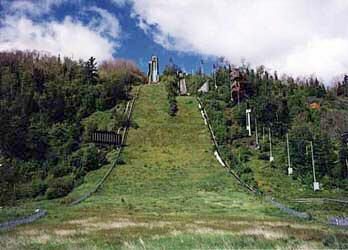 A change of ownership in 1969 meant the renaming into "Mt. 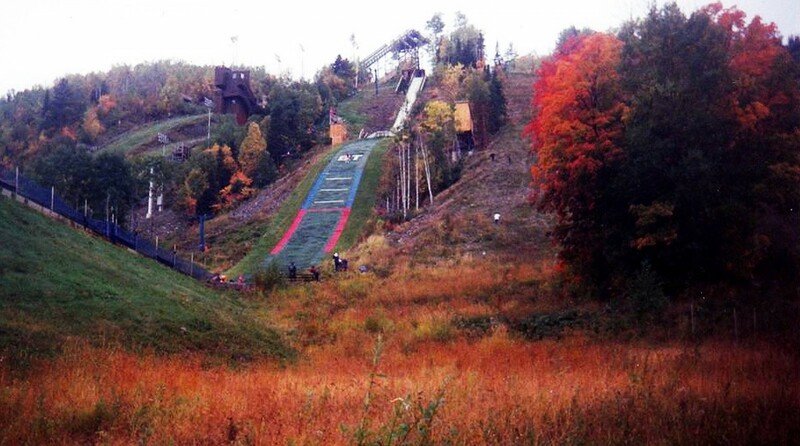 Norway", but at the same time also the kick-off for the construction of "Big Thunder" ski jumps. 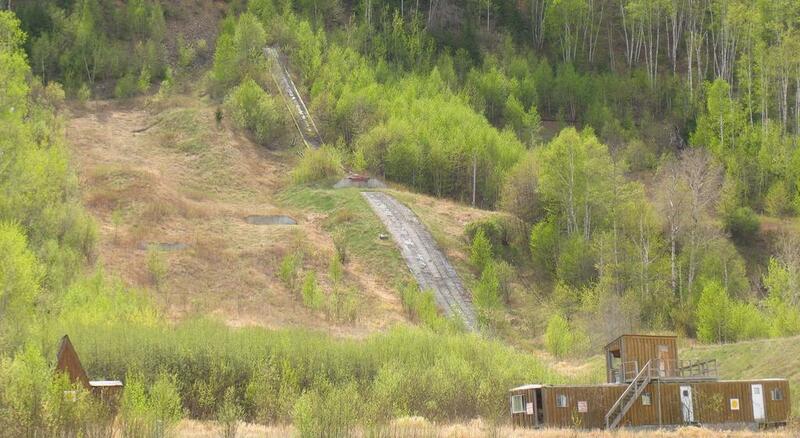 These were completed in 1974 as K120 and K89. 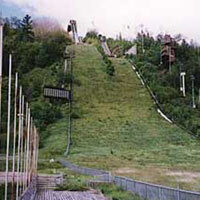 The first competitions were the Canadian Nationals on February 1 and 2, 1975. 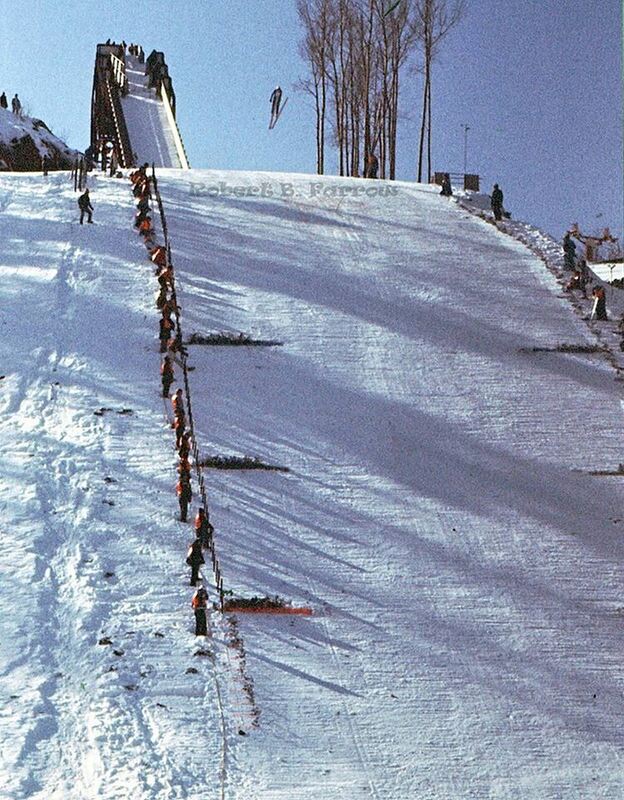 During a competition in 1980 Steve Collins jumped a hill record of 128 meters! 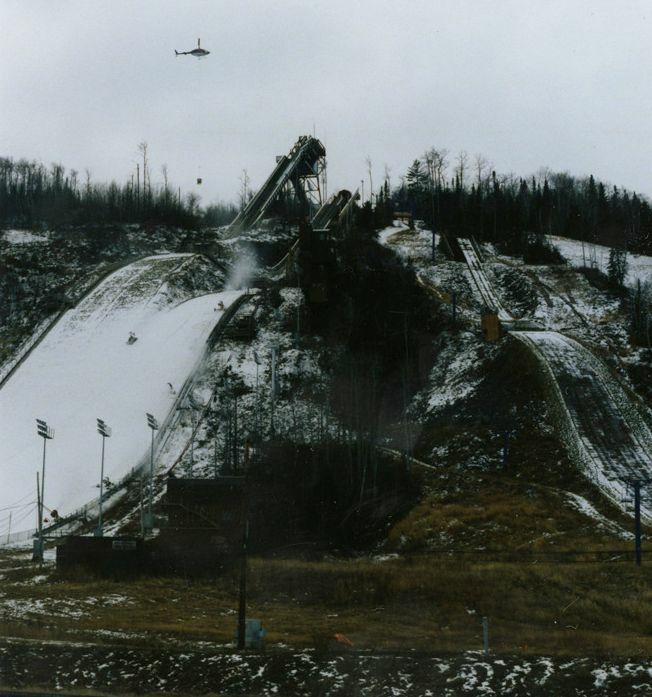 In the same year the first of 29 ski jumping World Cups was hosted on the twin ski jumping facility. 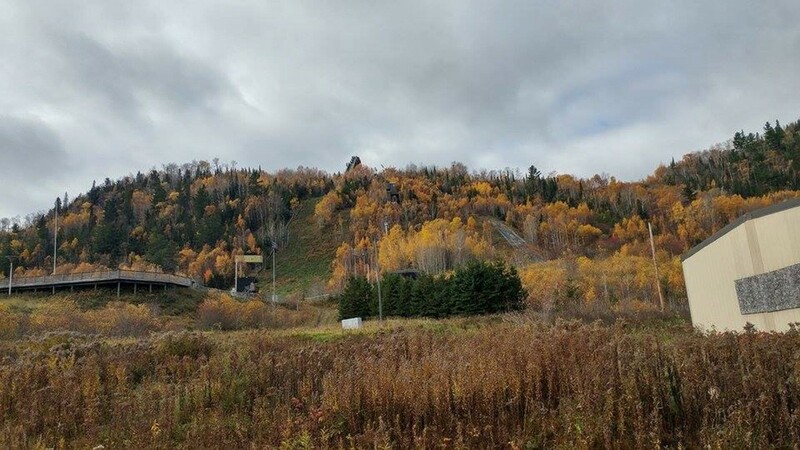 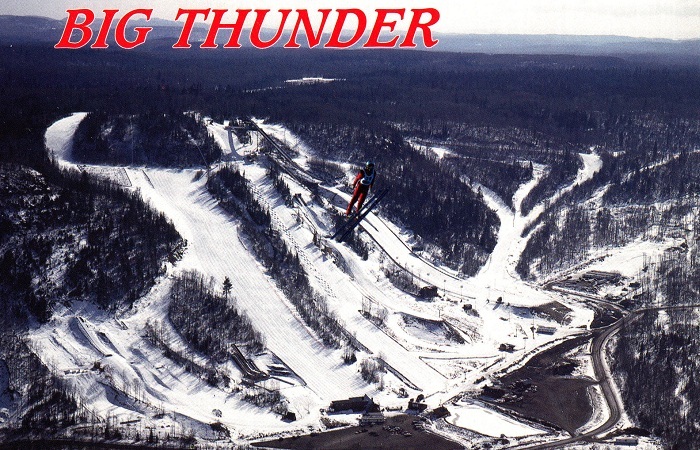 In 1980's the "Big Thunder" ski jumps received the status of a national training center and from 1985 onwards the Minsitry for Tourism and Recreation of Ontario started the extension of the ski jumping facility. 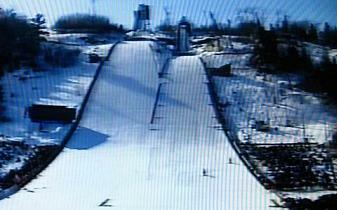 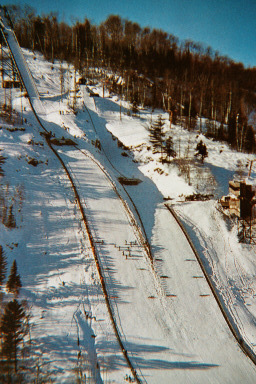 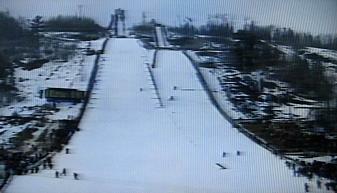 The "Little Thunder" ski jumps K64, K37, K20 and K10 were constructed, the two bigger ones even equipped with plastic mattings and porcelain inrun tracks. 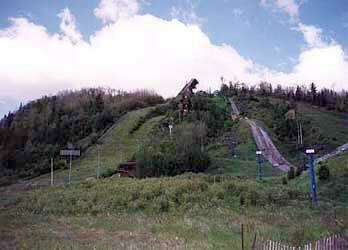 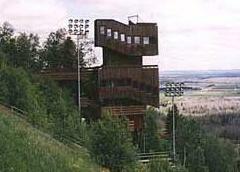 The Nordic Ski WSC 1995 were then appointed to Thunder Bay by the FIS in 1990 and therefore the skiing center was extensivly enlarged. 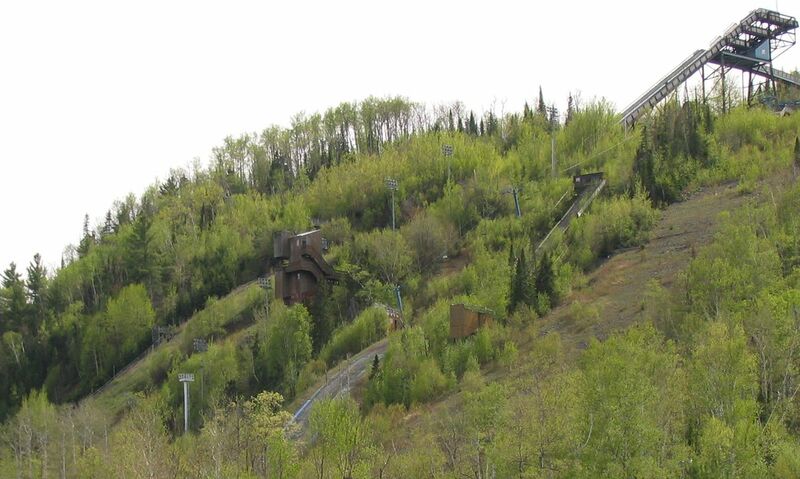 The larger hills were equipped with floodlights and a new chair lift, additionally a cross-country stadium with 50 km of trails was developed. 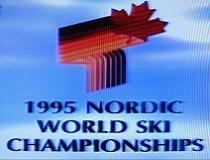 Directly after the successful World Championships 1995 the funding for the winter sports facility was cut off and as a consequence it had to be closed down on 1996-06-30. 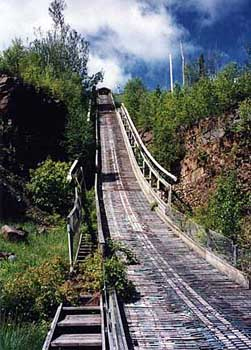 After revitalization plans for the facility failed already in 2002 and 2008, now the "Friends of Big Thunder" are starting a new attempt for the reactivation of the area. 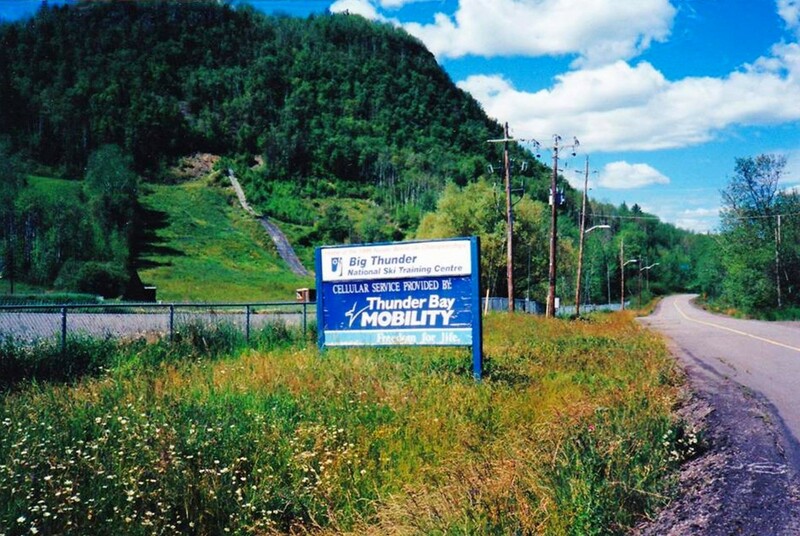 It is tried to gather up to 25 million Dollars of subsidies in order to at least partially reopen the facility. 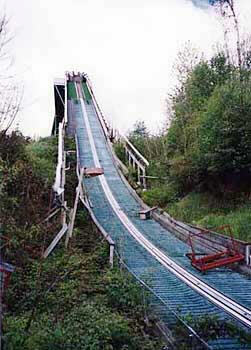 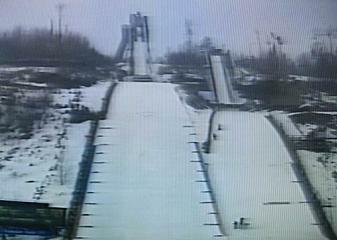 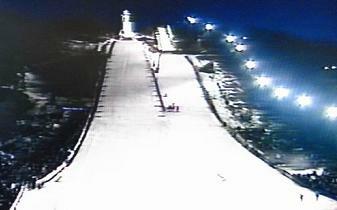 But even in the case of a success the reopening of the Big Thunder ski jumping hills would only be the last step. 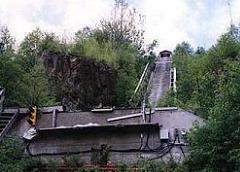 Entschuldige die Tatenlosigkeit Eric, ich werde mich in den nächsten Tagen darum kümmern. 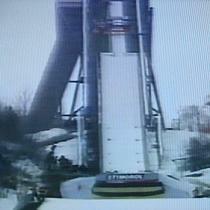 Natürlich auch um die vielen Hinweise der polnischen Besucher! 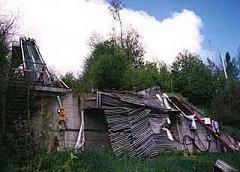 Ihr könntet ruhig mal auf unsere vielen Hinweise in den letzten Tagen z. 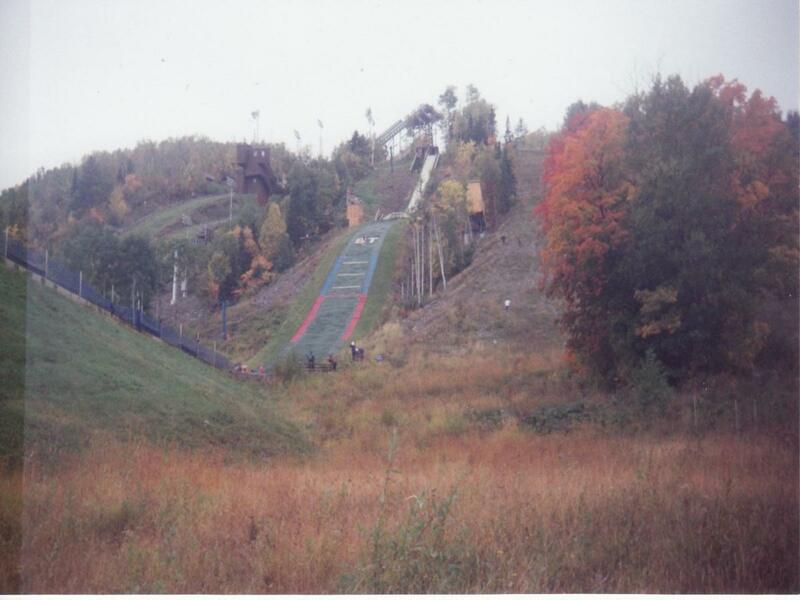 B. meine bei Thunder Bay und Gatineau reagieren. 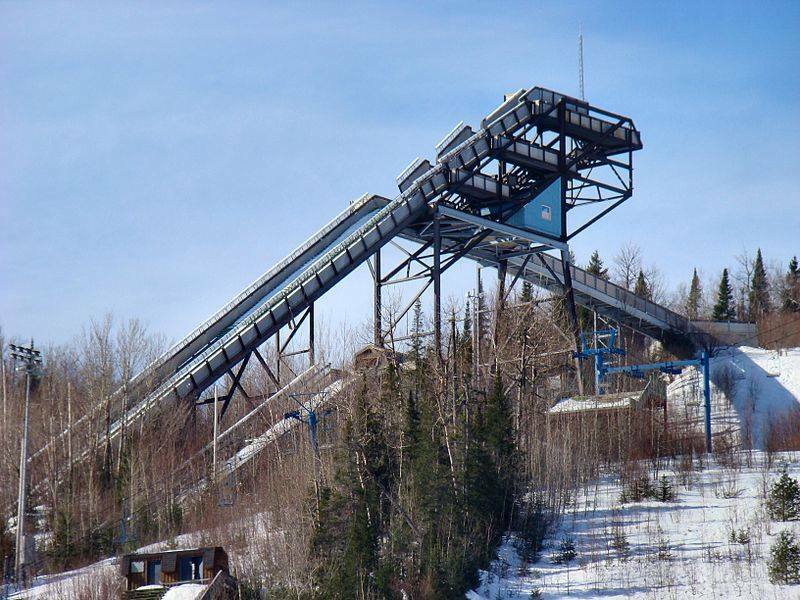 Laut englischer Wikipedia existieren auch eine K 20 und eine K 10, beide ohne Matten. 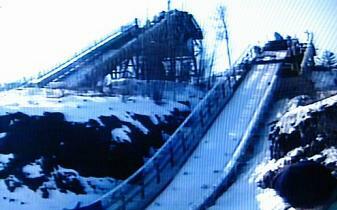 Oto filmik, na którym widać skocznie latem 2011 roku. 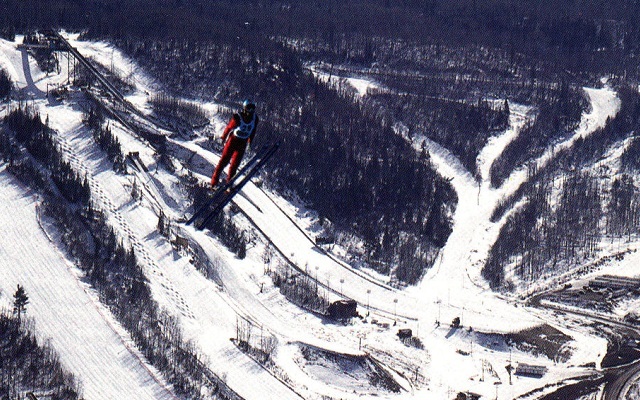 Z tego wynika, że rekord Goldbergera wynosił 128m a nie 136 więc można by to poprawić.